Dr. Joao Mordomo of Brazil teaches over Zoom to CIU Business students. Call it a working lunch — just the thing for Columbia International University Business majors, right? But this lunch hour class challenges the students to consider Business as Mission (BAM). The CIU College of Intercultural Studies (ICS) has been offering a course on BAM for several years as an elective. In 2018, Professor Scott Adams, dean of the School of Business & Professional Studies, made the BAM course a requirement for all business majors. 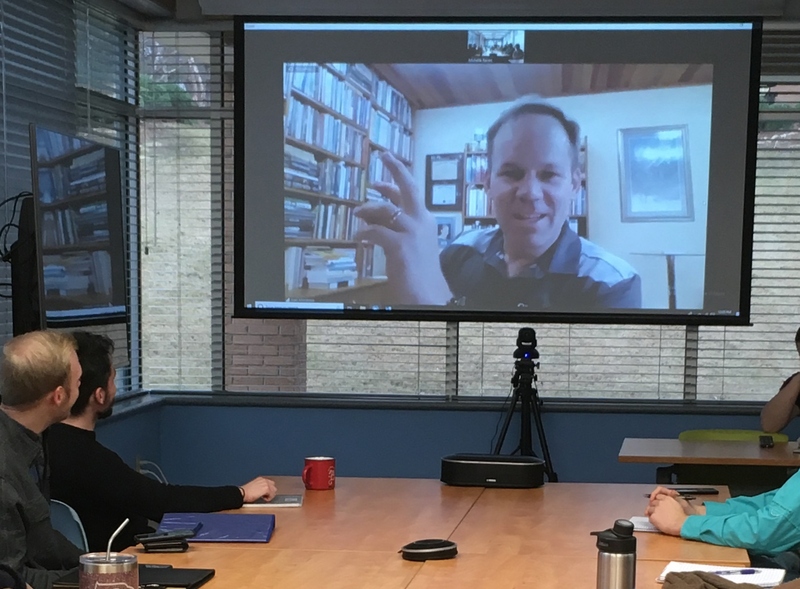 On Tuesdays and Thursdays, adjunct professors around the world teach the course via the video conference platform, Zoom. The students gather in CIU’s John R. Cook Jr. Business and Entrepreneurship Center to glean insight from instructors who are engaged in BAM. Among their professors is Dr. João Mordomo of Brazil, co-founder and senior vice president of Crossover (CCI) Global, a church-planting organization among unreached people groups. He also serves the Lausanne Movement in Business as Mission. Dr. Ed Smither, dean of ICS says his college “is delighted to partner with CIU's School of Business & Professional Studies to offer this course in an innovative way."